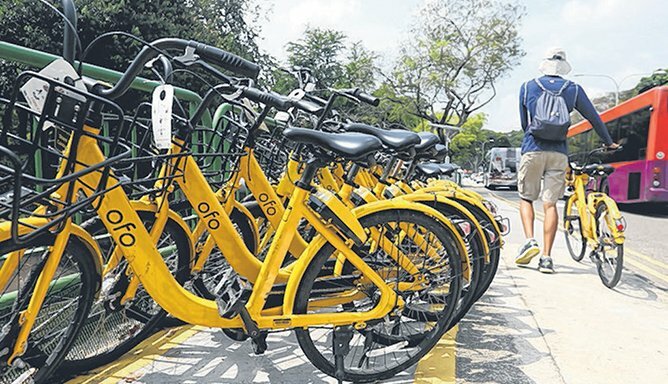 Bike-sharing firm ofo has missed the deadline to meet LTA's conditions, and must remove bikes in public spots by 13 March. 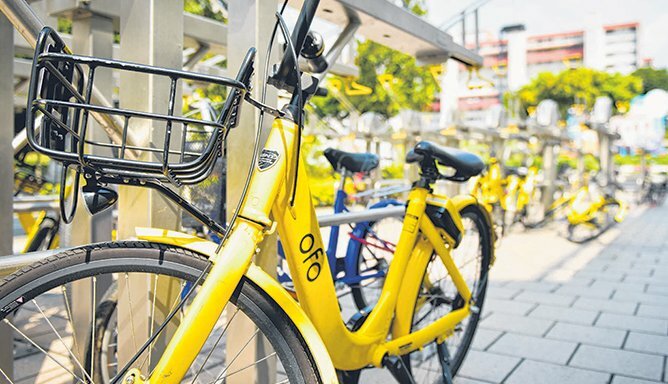 Chinese firm ofo's licence to operate a bike-sharing service here has been suspended, the Land Transport Authority (LTA) said yesterday. This comes after ofo missed Wednesday's deadline to meet LTA's regulatory requirements. For example, it had failed to introduce a QR code-based parking system that would allow its bicycles to be parked only within specified areas. ofo missed Wednesday's deadline to meet LTA's regulatory requirements It had also not updated its app to allow for the banning of users who repeatedly park outside designated areas. LTA said ofo had failed to comply despite being informed of the requirements. The firm - which has been operating in Singapore since early 2017 - has until 13 March to remove all its bicycles from public spaces. The Straits Times understands that one requirement which ofo managed to fulfil is to reduce its fleet of bicycles - which last year numbered around 70,000 - to the required 10,000. However, LTA said it 'will only lift the suspension if ofo meets all regulatory requirements', adding that the firm's licence may be cancelled if it does not show 'satisfactory progress'. Firms that do not comply with LTA regulations face penalties, including a fine of up to $100,000 for each offence, or the suspension or termination of their licences. Unlicensed operators can be fined up to $10,000 and jailed up to six months, with a further fine of $500 for each day that they continue to operate after conviction. The firm has until 13 March to remove all its bicycles from public spaces Ofo was one of six firms awarded a bike-sharing licence in September last year. Founded in 2014 in Beijing, ofo was once valued at $2.7 billion and operated in more than 20 countries. However, in December, Chief Executive Dai Wei told employees that the firm was considering filing for bankruptcy. That month, ST reported that ofo had vacated its Shenton Way premises, and had failed to respond to users' requests for refunds. Last month, ofo reportedly shut down its international division. It has also laid off hundreds of staff here in recent months, media reports said. Ofo did not respond to ST's request for comments by press time. Since December, the firm has not replied to media queries about the status of its Singapore operations.